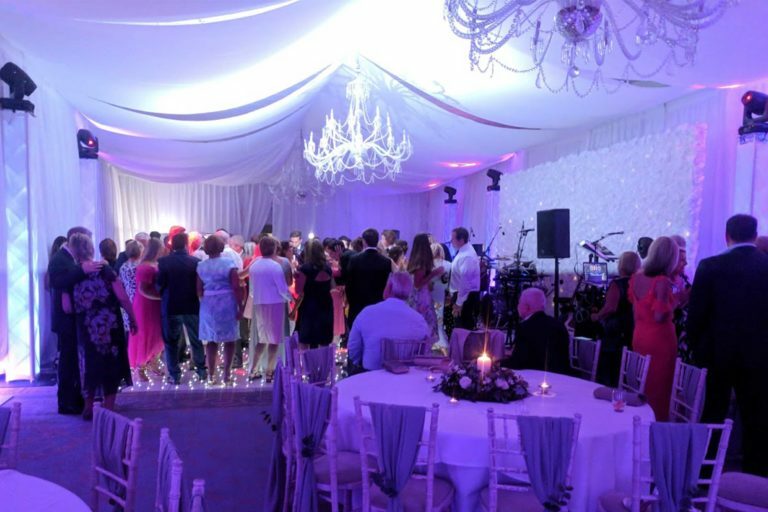 We were booked by a chair cover company to provide a 6m x 3m ivory starcloth backdrop to sit behind the top table at a wedding reception being held at the venue. The top table was slightly longer than the backdrop, this isn’t a problem as such, however it is possible to Velcro together 2 of our ivory starlight backdrops to make them 12m in length which would have certainly been long enough. Our ivory starcloth’s are erected using a free standing and telescopic pipe and base system. We in effect create a goal post using a mixture of uprights, crossbars and base plates and then hang the starcloth from this structure, it is industry standard and extremely safe. 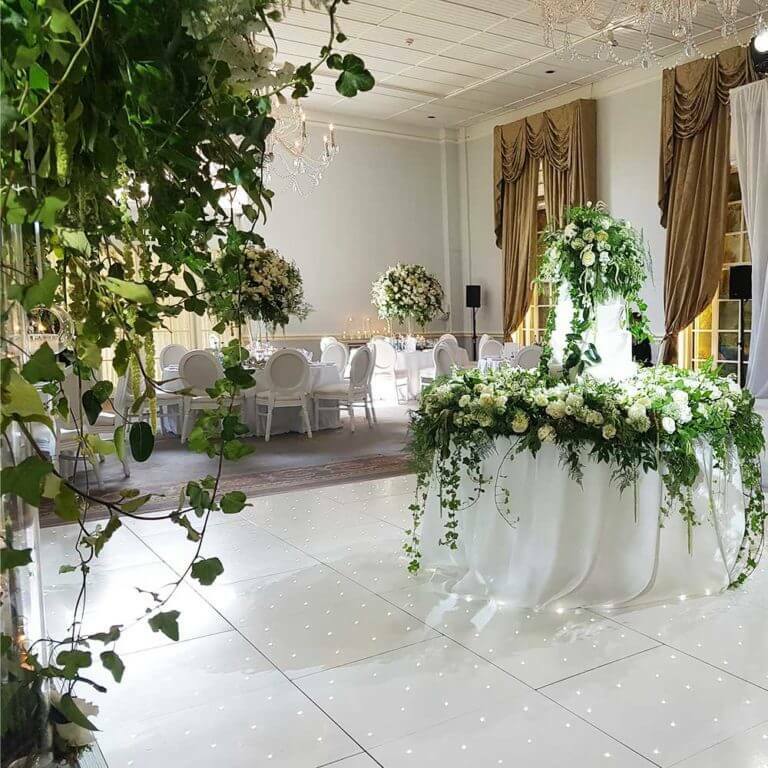 To find out more about booking any of our products or services for your wedding at the Holiday Inn, Coventry please don’t hesitate to pick up the phone and give us a call on 0116 2029953, or simply send us an email. We look forward to hearing from you.